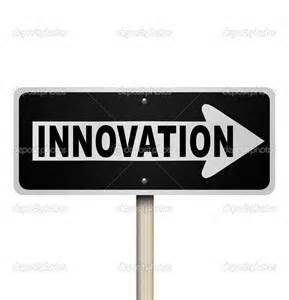 If you have a great Innovation idea why not find an existing business that could use it and pitch it to them ….. they have what every Entrepreneur and Innovator craves – cashflow and customers to support them. So while we are engaging everyone in the city and getting them interested we need to get every business in every mainstreet on side too. They need to understand that they are Innovators and Entrepreneurs already – thats why they started their own business in the first place!! There is no reason for any business not to be Innovating right now – they need guidance, support and a little motivation thats all. But ……A major barrier to Innovation in existing business has been concern about loss of focus in the core business. My approach is to show business owners how to increase sales using digital media while implementing the changes needed to prosper in future using an proven evidence based methodology. There is much talk about Smart cities around the world but first we need smart neighbourhoods and main streets. Taking Innovation to the people and using existing spaces to make innovation places is a great place to start …..put innovation where people are not expect them to be drawn to something they don’t really get!!. Where do plan to do to get this happening in Adelaide?? Firstly we want lease a vacant shop in Hutt St with support from Government, Council and business, to be an Innovation Hub, a co-working space and a place for local business to meet and share ideas. Why Hutt St ?? Its unique thats why – It has 2 Hospitals, a TV Studio, every major bank, several top class restaurants along with some great Cafes and two very popular pubs …. there is even an old fashioned shoe repair shop. And its backed by a vibrant residential community. Oh and its also a main street into the CBD of Adelaide. The centre will develop and foster open discussion, the sharing of ideas and opinions not only related to their own business but, respectively, others within Hutt St. Innovative ideas will be encouraged and supported – aiming to change business ambiance and profile, to seek new technology such as Cloud, to try new market concepts, to share strategies and form a bound and ownership of the street and /or Precinct. Gatherings would be regular with the Innovation centre inviting speakers and holding workshops. Evaluation of success would be in the sharing of change and the progress of street members businesses. Funding and sponsorship will sourced from provided services, participating businesses and government grants. Firstly despite what most business owners think 95% of a businesses DNA is exactly the same as every other business around it. As such the business services and support the business and its owners and shareholders require are much the same, regardless of business type. Secondly many businesses can take advantage of resources and facilities when they grouped together in some kind of “mutual buying group” that they couldn’t if they are acting alone – particularly successful examples of this in the past with Internet exchanges and pharmacy mutual buying groups. Thirdly the combination of digital services and a common physical location generates synergies and advantages that either one of those aspects alone cannot give. – a membership app for businesses, staff and residents of the precinct that ostensibly is used to generate discounts for the customers but as a byproduct collect essential data on users of the precinct and allows for easy communication, establishment of special interest groups, reviews, and lobbying. – digital work hub to both homebase “on road” businesses in the area and allow for local businesses to expand, or test expansion until such time as they can expand their bricks and mortar presence. – Most importantly, tie all these together with specific events that foster a sense of community amongst the businesses, amongst the local residents, and amongst the whole precinct. Thanks to Phil Kalogeras for these simple cost effective thoughts! “We often hear people describe organisations as “innovative” … but, the truth is they’re not … innovation is not an organisational artefact … in fact, it vigorously defies traditional organisation and managerial practice. Innovation is quintessentially human. PEOPLE do it … organisations don’t – except THROUGH their people – when they’re lucky! … And that’s really the root of the challenge … Innovation has to become less dependent on luck: To create scale-ups on a never-before-seen scale requires nothing less than the fostering of practical and useful innovations on a hitherto-unseen scale: For that to happen innovation needs to become more readily accessible to people just like you and me … and not just to a select group of innovating geniuses.